SONAX Brilliant Shine Detailer UNIVERSAL - Dezod Motorsports Inc - Home of the automotive performance enthusiast since 2002. 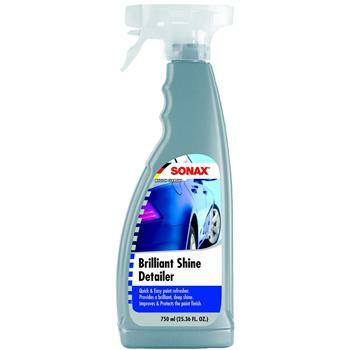 SONAX Brilliant Shine Detailer is a great compliment to any car enthusiasts’ product arsenal. The easy-to-use formulation incorporates a uniques Hybrid Polymer Technology that provides long lasting protection and an extremely flat surface, which generates outstanding paint reflection and a deep, brilliant shine.